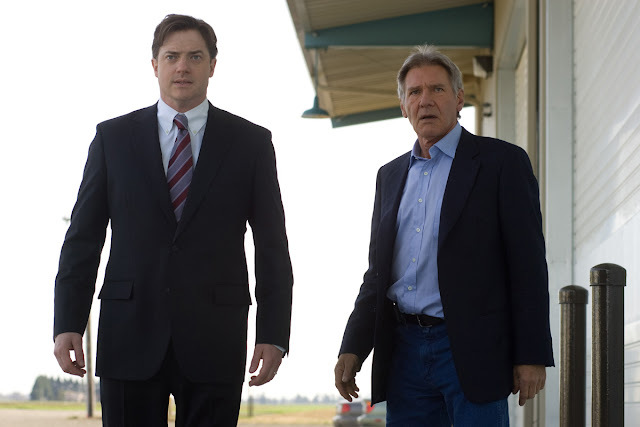 Harrison Ford and Brendan Fraser star in Columbia Pictures and CBS Films’ stirring drama “Extraordinary Measures” which is inspired by the true story of John Crowley, a man who defied conventional wisdom and great odds, and risked his family's future to pursue a cure for his children's life threatening disease. 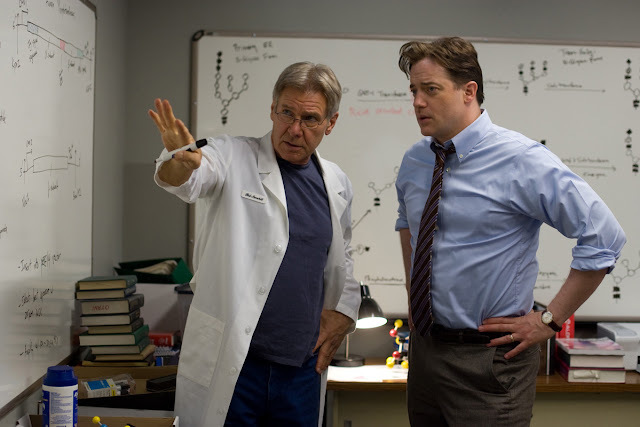 In the film, John Crowley (Fraser) had finally begun to taste success in corporate America from his working class roots. Supported by his beautiful wife Aileen (Keri Russell) and their three children, John is on the fast track. But just as his career is taking off, Crowley walks away from it all when his two youngest children, Megan and Patrick, are diagnosed with a fatal disease. With Aileen by his side, harnessing all of his skill and determination, Crowley teams up with a brilliant, but unappreciated and unconventional scientist, Dr. Robert Stonehill (Ford). Together they form a bio-tech company focused on developing a life-saving drug. One driven to prove himself and his theories, the other by a chance to save his children, this unlikely alliance eventually develops into mutual respect as they battle the medical and business establishments in a fight against the system – and time. But, at the last minute, when it appears that a solution has been found, the relationship between the two men faces a final test – the outcome of which will affect the fate of John's children. “Extraordinary Measures” is directed by Tom Vaughan (“What Happens in Vegas”) from a screenplay by Robert Nelson Jacobs (“The Water Horse”), which was inspired by the book “The Cure” by Pulitzer Prize-winning writer Geeta Anand. For years, Harrison Ford and producers Michael Shamberg, Stacey Sher, and Carla Santos Shamberg had been seeking a project on which they could collaborate. Six years ago that search ended, when Ford read Pulitzer Prize-winning writer Geeta Anand’s Wall Street Journal article, and later Anand’s book entitled “The Cure: How a Father Raised $100 Million -- and Bucked the Medical Establishment – in a Quest to Save His Children,” on John Crowley and the Crowley family. Captivated by multiple themes, Ford recognized the makings of a movie in this compelling material. Though the Crowley family had already grown comfortable relating their story to Anand, there was some initial hesitation when Hollywood came calling. Opening soon across the Philippines, “Extraordinary Measures?” is distributed by Columbia Pictures, local office of Sony Pictures Releasing International. Visit www.sonypictures.com.ph to see the latest trailers, get free downloads and play free movie games.